Real estate or interest in real estate in Iowa is conveyed by a deed in writing that is acknowledged and recorded. A conveyance of real estate in this state will pass all the grantor's interest therein, unless a different intent can be inferred from the instrument (557.3). An estate may be made to begin at a future date by a deed in writing (557.6). The Iowa Revised Code sets forth statutory forms that may be used in a conveyance of real property. The statutory forms, or other equivalent forms, varied to suit the circumstances of a transaction, are sufficient for their intended purposes (558.19). Common forms of conveyance in this state are the warranty deed and the quitclaim deed. The authority to convey real property or interest therein in Iowa is given to individuals, corporations, married persons, and those claiming jointly. Further, all persons who own real estate that is not held by an adverse possession are deemed to be seized and possessed of the property (557.1). The Iowa Statutes also go on to state the following concerning adverse possession: Adverse possession of real estate does not prevent any person from selling that person's interest in the same (557.5). A married person can convey or encumber any real estate or interest therein belonging to the person, and may control the same, or contract with reference thereto, to the same extent and in the same manner as other persons (557.11). Furthermore, every conveyance made by husband and wife in Iowa is sufficient to pass any and all right of either in the property conveyed, unless a different intention appears in the instrument (557.12). In Iowa, a non-resident alien, foreign business, or foreign government may acquire real property in the state, by grant, purchase, devise, or descent, except agricultural land or any interest in agricultural land in this state; and may own, hold, devise, or alienate the real property, and will incur the same duties and liabilities in relation to the property as would a citizen of the United States (9I.2). The way that title to property is held, along with the specific circumstances of the transaction, will determine the method of conveyance. The acknowledgment of any deed, conveyance, or other instrument in writing by which real estate in Iowa is conveyed or encumbered, whether the acknowledgment is made in this state, outside the state, outside the United States, or under federal authority, must comply with section 9b of the Iowa Revised Statutes. A notarial act must be evidenced by a certificate, which must meet the requirements of 9B.15 of the Iowa Revised Statutes. In lieu of an acknowledgment, the proof of execution and delivery of the instrument may be made only in the following cases: if the grantor dies before making the acknowledgment, if the grantor's attendance cannot be procured, or if, having appeared, the grantor refuses to acknowledge the execution of the instrument. Such proof must be made before any officer authorized to take acknowledgments (558-31). A document will not be deemed lawfully recorded unless it has been previously acknowledged or proved in the manner prescribed by statute (558.42). 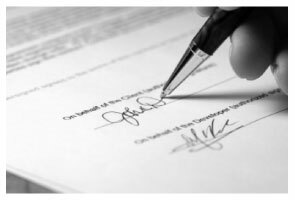 Real estate deeds submitted for recording must be accompanied by a completed Declaration of Value and a Groundwater Hazard Statement. An instrument evidencing a transfer of title should be filed with the recorder of deeds in the county where the property is located. The recorder of deeds shall file the instrument and place an abstract of it upon the index of deeds. When an instrument is recorded, it is constructive notice to all persons of the contents (558.11). An instrument affecting real estate will not be valid against subsequent purchasers for a valuable consideration without notice, or against the state or any of its political subdivisions during and after condemnation proceedings against the real estate, unless the instrument is filed and recorded in the county where the real estate is located. An interest in real estate evidenced by an instrument that has been filed will have priority over any lien that is given equal precedence with ordinary taxes, except for a lien upon the real estate described in the instrument filed in the office of the county recorder prior to the filing of a conflicting instrument (558.41).